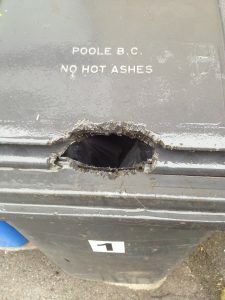 Home > Pest Control News > Ants > FOOD FOR THOUGHT – RATS IN BOURNEMOUTH AND POOLE. 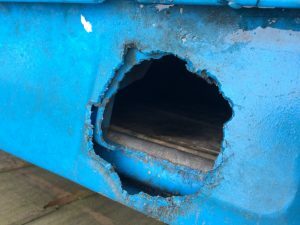 With calls for rats still coming in on a daily basis, especially from the Bournemouth and Poole area, it might be worth just looking at, what is in fact, causing a lot of the problems. In the urban environment the main problem is our way of living! Food is in plentiful supply and waste is on the increase. 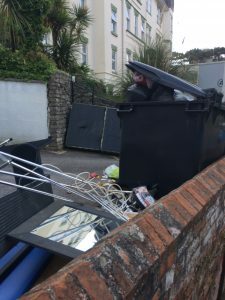 It is not just the odd discarded half eaten burger or kebab, discarded sweets, unwanted sandwich, or thrown away tins or bottles that are feeding the ever growing number of pests including rats, mice, squirrels, birds and even insects. Even when food items are put in convenient bins for disposal they are not safe from these scavengers. An open bin is an absolute gift and any item of interest can be removed in seconds by a hungry rodent or bird. Wheelie bins can pose a bit of a problem, but not for long! Persistence often pays off and the contents can be easily accessed by the use of both stealth and teeth, something a rodent is VERY good at. 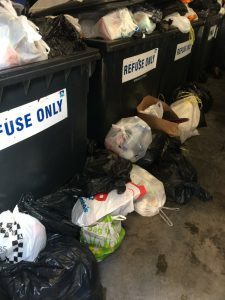 It is impossible to stop producing food waste completely, but it is possible to store and dispose of it in a responsible manner and until this happens the calls for pest control, pest invasions and pest problems will keep coming.